Polygrammate hebraeicum - Hodges#9285 (The Hebrew). Size: approx. 12 mm. Photo: 08/13/14, 10 pm. This striking owlet moth is called the Hebrew. 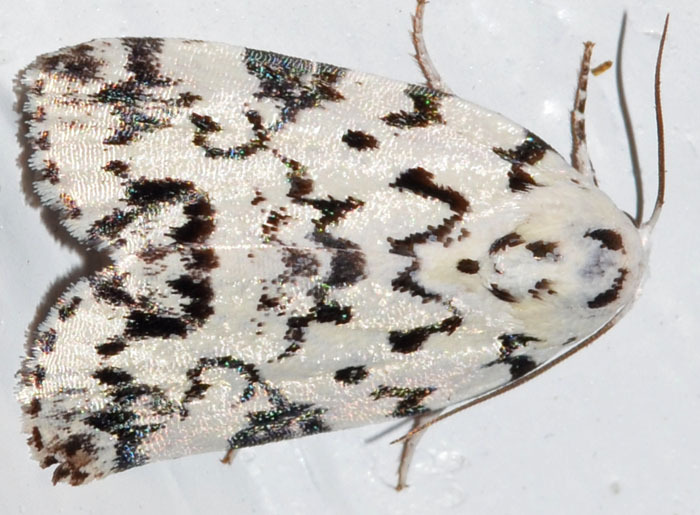 The name refers to the black markings on the moth, which must have reminded some people of characters of the Hebrew alphabet. To me it looks more like a 2D bar code. The moth is found in the eastern half of the US and as far west as Texas.